Minor burns, sunburn, minor cuts, scrapes, insect bites, and minor skin irritations. 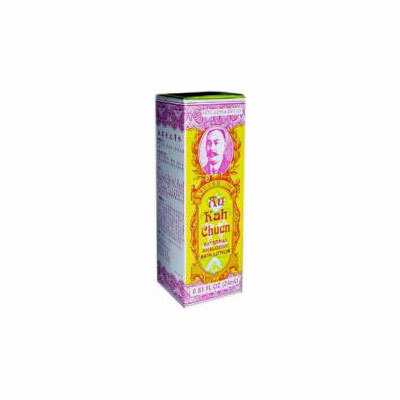 For the temporary relief of pain and itching associated with the skin. Adults and children 2 years of age and older. Cleanse the affected area with warm water, then dry with cotton wool. Apply Au Kah Chuen Skin Lotion no more than 3 to 4 times daily with applicator. Children under 2 year of age, do not use. For external use only. Avoid contact with the eyes and the mucous membranes. Do not apply over large areas of the body or bandage.